My Highly Caffeinated Thought: A completely addictive read with a refreshing approach to the true crime phenomenon and psychological suspense. This book…holy crap! I cannot express how much I loved reading this debut novel from Kathleen Barber. From the first chapter, I was instantly obsessed with finding out if Poppy Parnell is going to unravel the truth behind an old murder and what it was going to do everyone involved. 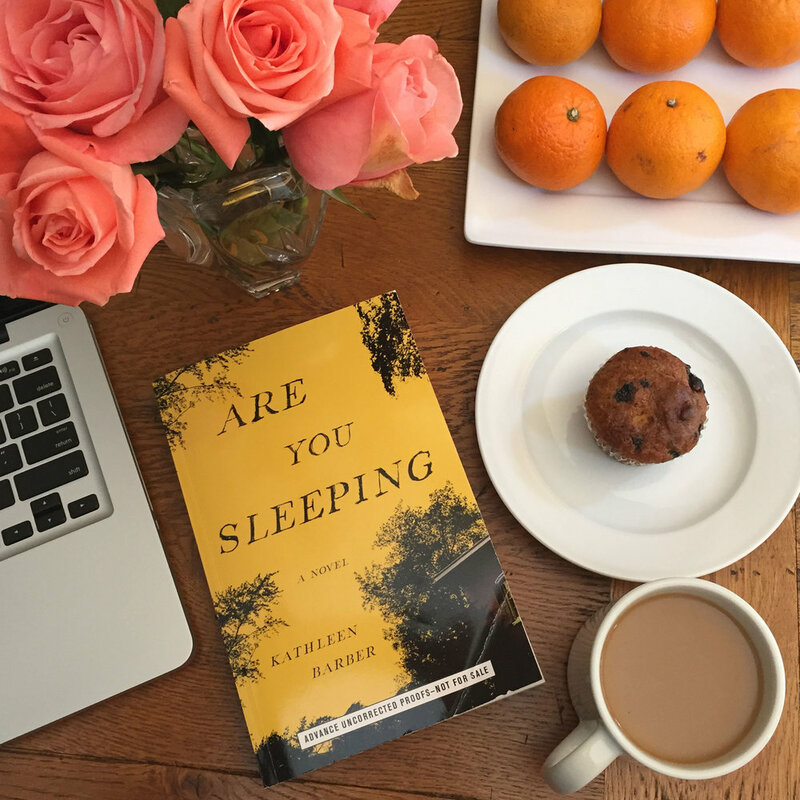 ARE YOU SLEEPING is a wonderfully unique approach to a suspense novel. Not only does the reader get to revisit a closed murder case through the eyes of the reporter Poppy Parnell, but we also get all the comments from those who are fans of the podcast. In a lot of ways, this burst of judgment or support for those involved in the case break up the story. It gave me a moment to regroup after another piece of the puzzle was revealed. With all that goes on in this book and all the lies, doubts, and betrayals, the heart of this novel are two twin sisters. The dynamic between Josie and Lanie is shaped from the past, but as we learn more about the two, the author gives us hope for the future. This book has heart, suspense, and wit. In my book, Barber hit the trifecta. I cannot wait to read more from this author. As a complete side note. For anyone who loved this book, take a look at SIX STORIES by Matt Wesolowski. Though the stories are completely different, I couldn’t help thinking about that book while I read this one. Each are amazing in their own right and each have a unique spin with the concept of the true crime podcast. Just thought you all would want to know. Find the book on Amazon, Barnes & Noble, and iBooks. About the Author: Kathleen Barber was raised in Galesburg, Illinois. She graduated from the University of Illinois and Northwestern University School of Law, and previously practiced bankruptcy law at large firms in Chicago and New York. When she’s not writing, Kathleen enjoys traveling the world with her husband.